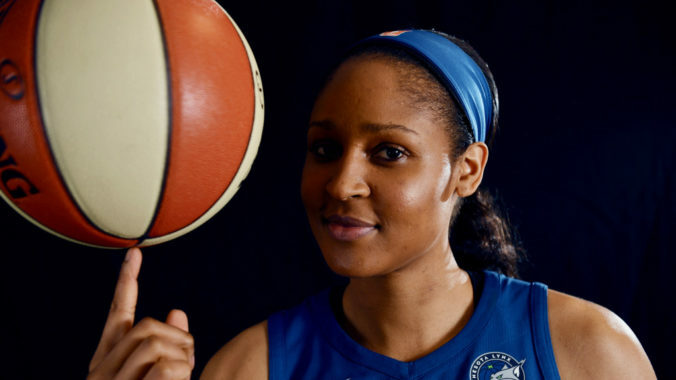 Maya Moore’s decision to sit out the 2019 season to focus on her faith and off-court aspirations was met with fan disappointment that they won’t see her play and respect for her convictions, the sentiment among fellow players was totally on the respect side. Scanning social media reveals both the pull Moore has as one of the greatest players of all-time — female or male — and the understanding from a lot of fellow greats have when it comes to life beyond basketball. Moore has averaged 18.4 points and 5.9 rebounds per game in her career with the Lynx and has only missed a single game over her eight seasons in Minnesota, making her one of the brightest and most consistent stars in the league. The Lynx will certainly feel the pain of Moore’s absence, but the effects of her departure from the team have deep implications beyond Minnesota and has sparked a conversation surrounding the meager pay awarded to even the brightest stars in the WNBA. Moore is not the first star to take a break from the WNBA, as fellow big names such as Diana Taurasi, Candace Parker, Angel McCoughtry, and Emma Meesseman have all taken time away from the league during the course of their careers. In order to make ends meet, many WNBA players choose to compete overseas during the WNBA offseason. And since they command much higher salaries in Europe, Asia, and Australia than they do in the WNBA, some of those players choose to forgo the WNBA season when they need a break. Prior to sitting out international competition in 2018, Moore has not enjoyed a true offseason since playing at UConn nine years ago.